You’ve seen bas relief adorning all kinds of buildings, from hospitals to resorts. But bas relief for the hospitality industry serves a special purpose. Here, it draws guests in and makes them feel welcome. The Roman-inspired design of Caesar’s Palace, which Stromberg worked on, and the ocean theme of the Atlantis Resort come to mind as fabulous examples of how bas relief done in glass fiber reinforced concrete (GFRC), by Stromberg, can set the mood for your hospitality location. Bas relief is an ancient sculpture technique created by either carving away material or adding material to an otherwise smooth surface. The end result is an image that stands out from the background. Classic examples of bas relief include the Elgin Marbles from the Parthenon and other buildings on the Acropolis of Athens, now housed at the British Museum in London. 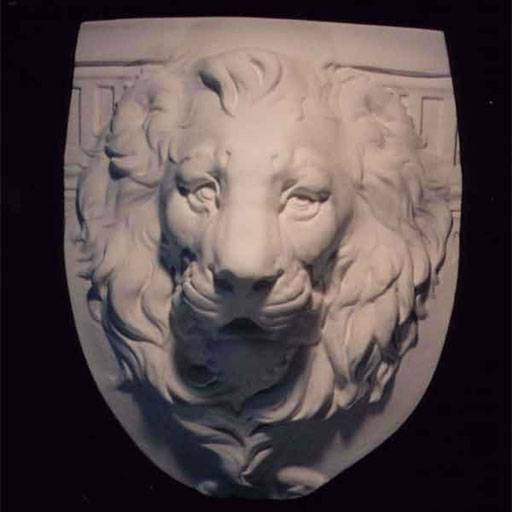 GFRC is appropriate for your small interior bas relief projects; Stromberg can enhance ceilings, walls, columns and more with this versatile material. GFRC is lighter than concrete and can be molded into any shape you want, as well as finished with a wide variety of paints and textures. Glass fiber reinforced concrete is lighter than concrete because it’s reinforced with glass fibers instead of steel. This is also what makes GFRC an excellent choice for your hospitality bas relief structures. Whether you envision a small sculpture or an architectural enhancement, GFRC bas relief from Stromberg will embellish in just the right way. Stromberg has a proven reputation for crafting the genuine article for their customers; whether lavish or simple, no job is too large or small. The professionals at Stromberg are a gold mine of creative ideas, and will work closely with you to bring your vision to life. GFRC is a suitable material for indoor use. GFRC will stand up to moisture and salt air. Glass fiber reinforced concrete is an earth-friendly product made with minerals. GFRC is lightweight yet very strong and durable. GFRC is rust resistant and fire retardant. The artisans at Stromberg Architectural Products are a gold mine of creative ideas; they’ll see your project through to the end and make sure your vision is realized. Stromberg is here to help with CAD details, design assistance and all specifications. Contact them today at (903) 454-0904 for your free custom quote; or email them.